We've brought to market ebook and audio version of Patrick King`s book: PERSUASION TACTICS: Covert Psychology Strategies to Influence, Persuade, & Get Your Way (Without Manipulation). The largest, professional and most expensive Russian design studio which creates book covers for the largest publishers in Russia, the most renowned design studio in Russia – Art Studio of Artemy Lebedev published a announce about Erin Meyer`s THE CULTURE MAP: Breaking Through the Invisible Boundaries of Global Business and the link to the process of the making of the book cover for the Russian edition. We've brought to market the paper edition, ebook and audio version of Joey Coleman`s book: NEVER LOSE A CUSTOMER. 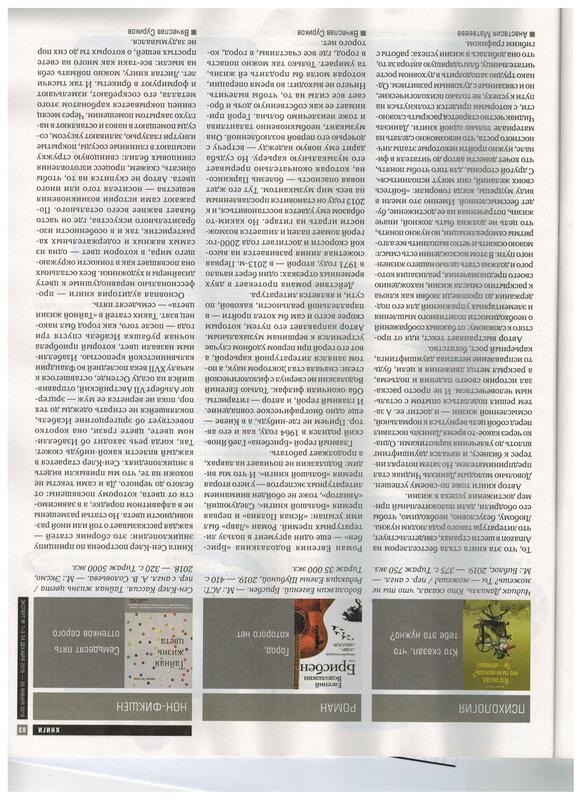 The Expert Magazine – one of the most influential weekly business analytical editions in Russia, the unquestionable leader of the Russian business magazines, №1 –3 24.12.2018 – 20.01.2019, published the brilliant big review on Daniel Chidiac`s Who Says You Can`t. Out of thousands of books published in Russian every month only 2–3 best books appear in the "Business" or "Self-Help" section of the magazine (no more 100 books in year)! The most influential, largest and reputable Russian web-portal for managers E-XECUTIVE.RU publishes a extract about Patrick King`s INTROVERT SURVIVAL TACTICS: How to Make Friends, Be More Social, and Be Comfortable In Any Situation and a extract about Patrick King`s PRINCIPLES OF LIKABILITY:Skills for a Memorable First Impression, Captivating Presence, and Instant Friendships. The largest, professional and most expensive Russian design studio which creates book covers for the largest publishers in Russia, the most renowned design studio in Russia – Art Studio of Artemy Lebedev published a announce about Brian D. Smith`s BRAND THERAPY: 15 Techniques for Creating Brand Strategy in Pharma and Medtech and the link to the process of the making of the book cover for the Russian edition.